Demonstrates how to get a Firebase access token using a JSON service account private key. 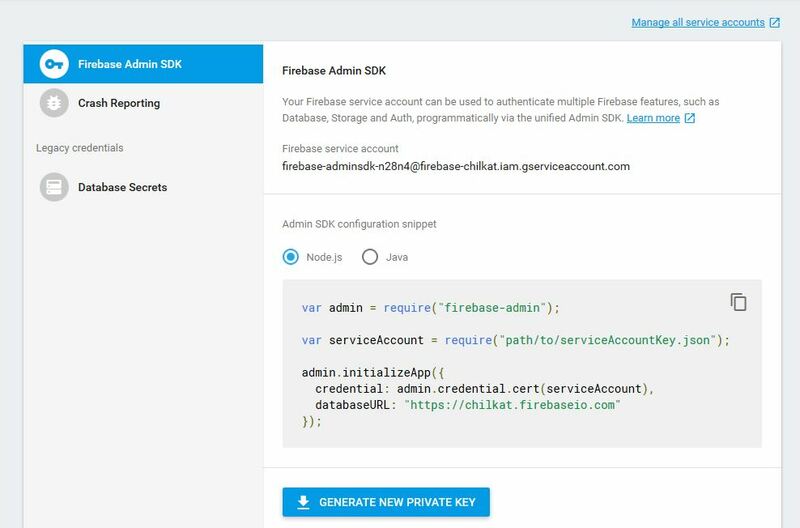 Your Firebase service account can be used to authenticate multiple Firebase features, such as Database, Storage and Auth, programmatically. //  First load the Firebase JSON private key into a string. //  The scope could be "https://www.googleapis.com/auth/firebase.database"
//  Request an access token that is valid for this many seconds. //  through proxies or an SSH tunnel if desired. //  Send the request to obtain the access token. //  Save the token to a file (or wherever desired). This token is valid for 1 hour.